This is one of my favorite ways to fix potatoes. They need very little oil and are delicious on their own. Of course, you can also eat them with ketchup or your favorite French fry sauce. 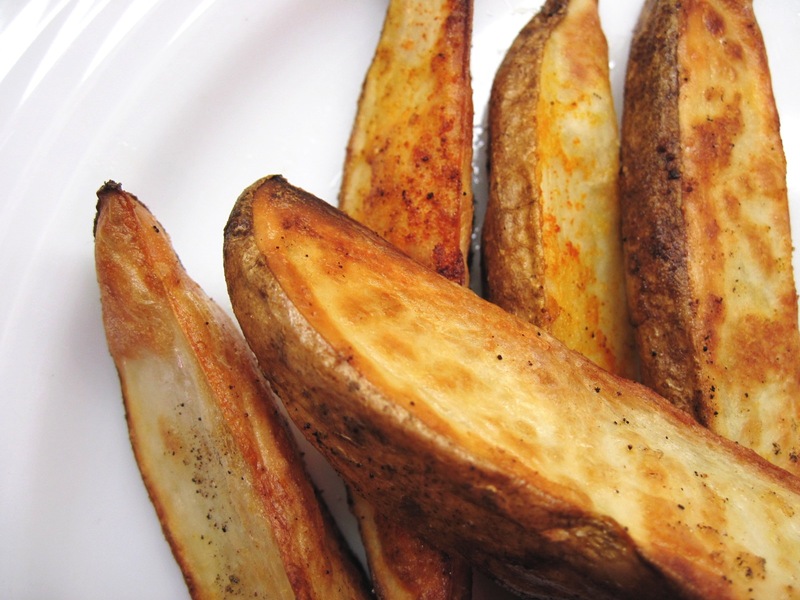 I like these best with russet potatoes, but Yukon Golds are also good prepared this way. 1. Preheat oven to 425˚. 2. 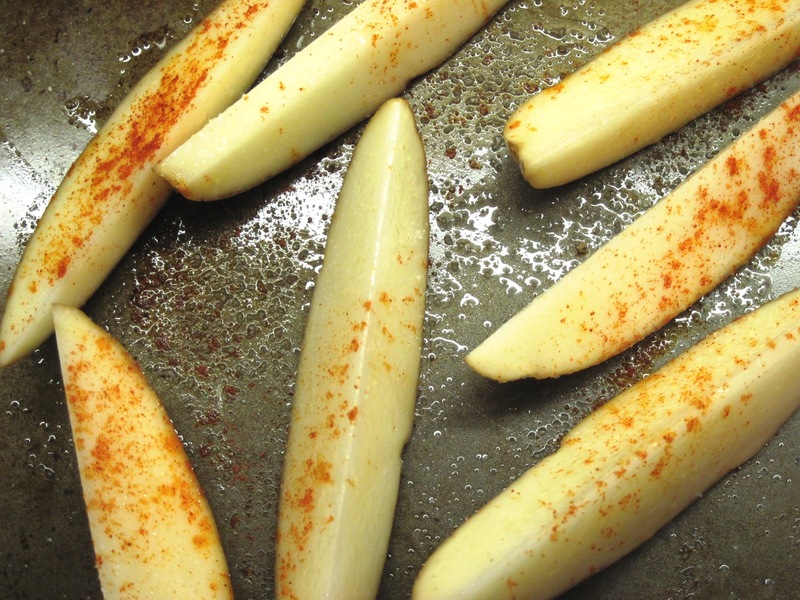 Scrub the potato well and slice lengthwise in eighths. 3. Put potatoes on a baking sheet and toss with the oil. 5. Bake for 20 minutes; gently stir (they no longer need to be skin side down), and bake for an additional 10 minutes, or until they are done as you like them.